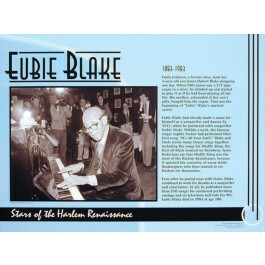 This educational poster features a large photo image and biographical text of the great African American composer and musician Eubie Blake. 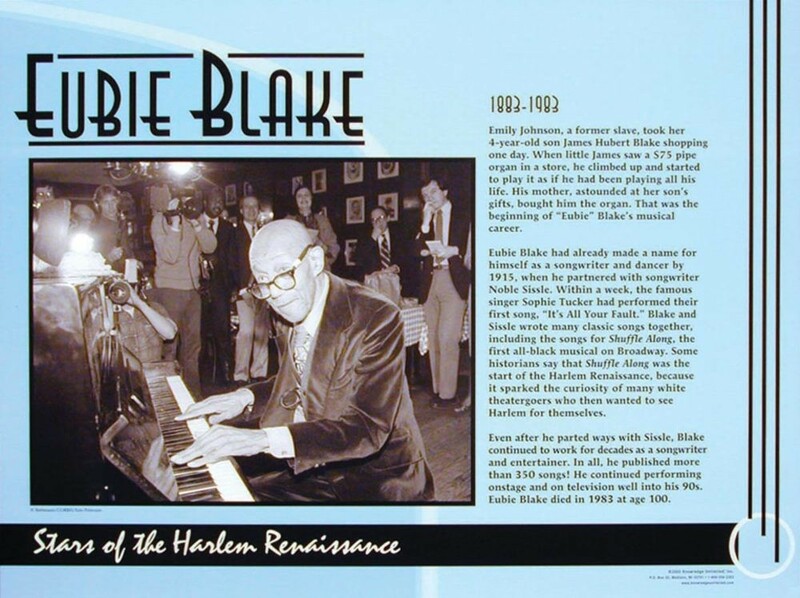 Blake and his partner wrote many classic songs including the songs for "Shuffle Along," the first all-black musical on Broadway. some say that this musical was the start of the Harlem Renaissance. This poster is a great way to introduce students to one of the most important and influential figures of the Harlem Renaissance, whose musical career started when he was 4 years old and continued for another 96 years!